Succulent plants have been increasing in popularity with home gardeners because they demand little water and are easy to grow. However, many are frost tender and cannot survive cold climates. Hardy Succulents: Tough Plants for Every Climate by Gwen Moore Kelaidis opens up the world of succulents to those who live in areas that enjoy winter snow. Living near Denver, Colorado, she has first-hand experience growing succulents in adverse weather conditions. Kelaidis begins by defining hardiness. It can be applied not only to plants that can take cold temperatures, but also to plants that can take extreme heat, moisture, or lack of water. This book focuses on plants that can live in USDA climate zones as low as six, and in a few cases, zone three. There is a map of climate zones of Canada and the United States in the back of the book. For other areas of the world, climate zones can be determined by winter low temperatures. 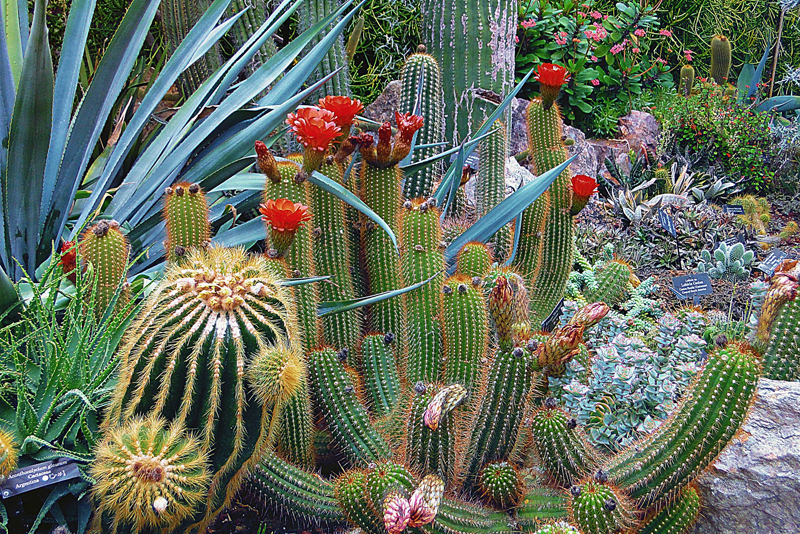 There are chapters in the book that cover small cacti, growing in containers, low-growing ground covers, perennial companion plants, and shrub-like succulents. The final chapter has guidelines for planting, propagation, and care. There is a short glossary, an index, a list of places to see succulents and a list of suppliers if you wish to order plants. For those who like containers, there are instructions for making hypertufa pots. Photographs in abundance make it easy to see if the plants she describes would appeal to you. There is not just one photo of a plant family, but several varieties, including many variegated plants. Many varieties of sedum, ice plant, sempervivums, agaves, optunias and yuccas fill the pages. Climate zones are noted for each plant, along with care instructions and growing habits. For those times that the temperature drops below what the plant is comfortable with, the author gives advice about using row covers, baskets and Styrofoam containers to stave off the cold. She also points out that low growing plants are less susceptible to frost damage than plants that stick up far out of the soil. One thing missing from the book that I would have liked is a list summarizing plants that are cold hardy. It one chapter she mentions that there are “more than 100 species of cactus hardy in zone 5.” This is where I would have expected a list. If you want grow succulents in cold weather, this book would be very helpful. The notes on the individual plants are detailed and she addresses the soil needs of succulents. Since I live in zone nine where the temperature almost never drops down to freezing, I borrowed this book from a friend. If I lived somewhere colder, it would be a valuable resource and would help avoid the frustration of planting specimens that would be inappropriate for my climate. This book is available in hardcover, paperback, and Kindle from Amazon.